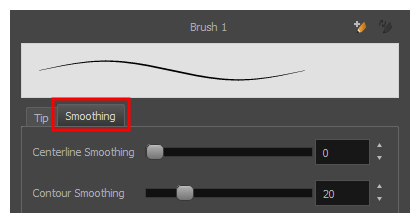 Drawing a stroke with the Brush tool creates a vector shape and simply fills it with the selected colour. A brush's tip can be shaped like a circle, a diamond or a square, and can be configured to have a specific size, aspect ratio and angle. 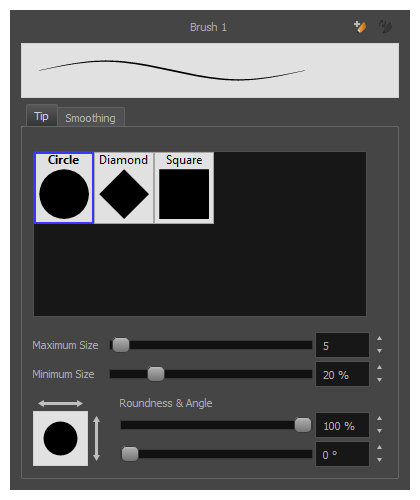 Also, your brush strokes can be automatically smoothed by Harmony as you draw.